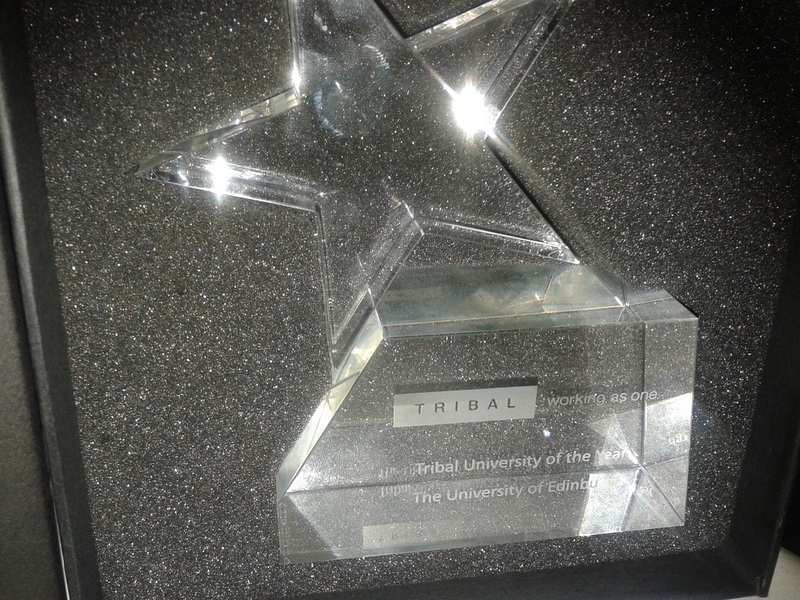 We have been named as the winner of the overall award “Tribal University of Year”, and also named as the runner up for the following three categories “Outstanding use of Innovation and Technology”, “People, Process, Performance” and “Improving Efficiency, Achieving Effectiveness”. update a set of personal records in eVision. perform online registration including requests for programme changes and submission of immigration documents in eVision. Student Administration and their temps no longer needs to undertake manual keying. The amount of corrections to data by Student Admin has dropped 90% compared to a year ago. Why: The University of Edinburgh has always delivered the majority of functionality through e:Vision. From two years ago, we started to integrate other web development technology and frameworks (like Bootstrap, JQuery plugins, Ajax etc.) into our SITS eVision to improve the user interface design and system performance combining with the latest development in eVision from Tribal. Now we have established a set of frameworks for our own development which deliver a much improved UI and good performance. This has reduced the overall development costs and improved the building quality. In the same time, the user experience with our recently development has been improved. We have delivered a number of projects using these framework include paperless admission, student self-services, direct admission, UKBA data capture and management etc., Student bursary management. We have developed the marks upload function to upload exam marks and the resit marks in eVision directly two years ago which schools can upload the marks from any exam into SITS. The marks are validated automatically before saved into the system. Recently we have worked with Tribal to develop the similar function for award upload which allows the schools to upload the award directly into eVision and control when the results for a programme are published to students. Both of these functions have delivered control to the end user so they can better supports students who have queries resulting from the processes. Students will have access to consistent guidance on what resources are available for support following publication of end of stage results. The upload and keying process will systematically validate against the student record. Schools owning programmes will have control over when Awards are made available to students. The current reliance on Academic Registry keying awards into EUCLID will be removed. Query the SQL which drives an Oracle view. Just replace the like with the thing you want to search for. Hope that’s useful!